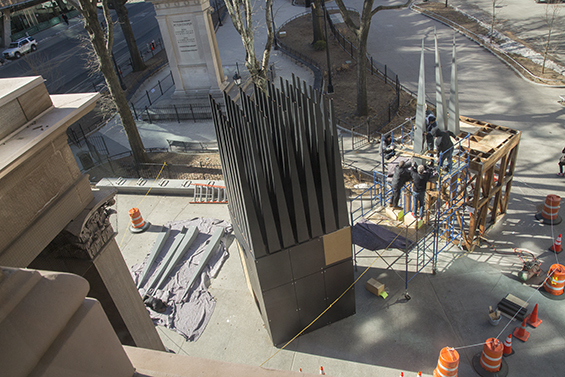 The structures at Cooper are another iteration of that same memorial and were first constructed at the Georgia Institute of Technology (Georgia Tech) in Atlanta in 1990, and separately on the grounds of Prague Castle in 1991. 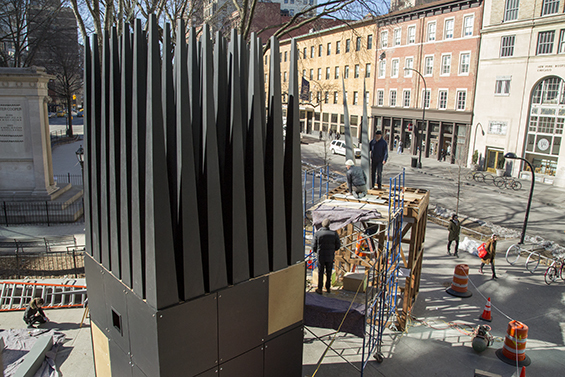 The memorial – one of Hejduk’s most political works – honors the Czech dissident Jan Palach whose self-immolation in protest of the Soviet invasion of Czechoslovakia in 1968 served as a galvanizing force against the communist government in power at the time. 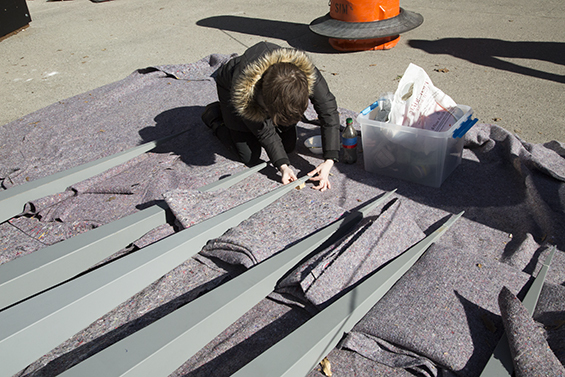 Comprised of two structures – House of the Suicide and House of the Mother of the Suicide – the work was reassembled in front of The Cooper Union’s Foundation Building from the original materials fabricated by Georgia Tech students in 1990.